The Washington Coastal Management Program is operated through the Shorelands and Environmental Assistance Program, a part of the state Department of Ecology. The state coastal zone consists of all lands and waters in the 15 counties with marine shorelines, extending three nautical miles seaward. Activities outside these counties that may have an impact on coastal resources may also be considered part of the coastal zone, though most activities and development projects undertaken outside of coastal counties are presumed to have little to no impact on coastal areas. Unlike other coastal programs, Washington’s coastal zone management program is not a stand-alone program. No new legislation was drafted as the foundation of the program, as the state instead relies on existing regulatory frameworks in an effort to address coastal zone issues in a more comprehensive and locally relevant manner. The state coastal zone management program works within existing state laws and programs to address management priorities, including protecting and restoring coastal wetlands, preventing or reducing threats from coastal hazards, increasing opportunities for public access, forming partnerships to manage impacts of growth and development, and planning for the use of ocean resources. Like other coastal programs, the Washington Coastal Management Program coordinates government activities through federal consistency review, which allows local governments, tribes, and state agencies to review activities undertaken, approved, or funded by a federal agency if an activity is likely to affect coastal resources. Consistency reviews are based on identified state enforceable policies. Six state laws make up the enforceable policies within Washington: the Shoreline Management Act, the State Environmental Policy Act, the Water Pollution Control Act, the Clean Air Act, the Energy Facility Site Evaluation Council, and the Ocean Resource Management Act. This broad suite of enforceable policies reflects the program’s comprehensive approach and integration within much of the existing state regulatory framework. Coastal zoning and shoreline management programs also fall under the purview of the state Department of Ecology’s Shorelands and Environmental Assistance Program. The state Shoreline Management Act forms the legislative basis for shoreline management regulations. The primary goal of the act, originally adopted in 1972, is to allow for coordinated development and use of state shorelines and coastal resources. The act applies to all shorelines within the state, including marine waters, streams and rivers with more than 20 cubic feet per second mean annual flow, lakes with an area of 20 acres or more, shorelands extending 200 feet landward from any such waters, wetlands associated with any such waters, river deltas associated with any such waters, and areas of the 100-year floodplain associated with any such waters. The act additionally defines shorelines of statewide significance, which include the Pacific Coast and areas of Puget Sound. The Shoreline Management Act is centered on shoreline use, environmental protection, and public access. In terms of shoreline use, the act establishes preferred uses for shoreline areas such as those that control pollution, prevent damage to the natural environment, or are dependent upon state shorelines. Such uses may include residential structures, shoreline recreation, or other “water-oriented” uses. Preferred uses are more tightly defined within shorelines of statewide significance, prioritizing the protection of statewide interests, preservation of natural character, maintenance of long-term ecological benefits, and protection of coastal resources and ecology. The environmental protection provisions of the act prioritize the protection of vegetation and wildlife in state waters against adverse effects from shoreline activities. The act requires all permitted shoreline uses to mitigate adverse environmental impacts and preserve natural character and aesthetics to the maximum practicable extent. In terms of public access, the act requires shoreline planning activities to include elements related to publicly owned area access as well as recreational elements to foster expansion of recreational opportunities. The provisions of the Shoreline Management Act are implemented through Shoreline Master Programs. Shoreline Master Programs must be prepared within each city and county that includes a state shoreline as defined in the Shoreline Management Act. Programs are based on state laws but must also be tailored to the specific environmental and economic needs of the community, including elements related to shoreline-specific comprehensive planning, zoning ordinances, and development permitting. Once a Shoreline Master Program has been approved, towns, cities, and counties become the primary shoreline activity regulators, with the state Department of Ecology providing support through grants and technical assistance. Select permit types are also subject to state review, and any local amendment to a master program to account for changing conditions, information, or approaches must also undergo review to ensure compliance with the Shoreline Management Act and Shoreline Master Program Guidelines as published in the State Administrative Code. While communities are given flexibility in designing a master program, the program guidelines establish general provisions related to historic resources, critical areas, flood hazard reduction, public access, vegetation conservation, water quality, shoreline modifications, and shoreline uses. The Washington Department of Ecology serves as the lead state agency for floodplain management activities, acting as the state coordinating agency for the National Flood Insurance Program. The department also oversees state floodplain management assistance programs such as the Flood Control Assistance Account Program and the Floodplains by Design program, a public-private partnership that implements floodplain management activities at the local level. While the Department of Ecology has adopted minimum state standards for regulating development within special flood hazard areas, state legislation provides discretionary authority in county governments to form comprehensive flood control management plans, which include elements related to designation of high-risk areas, establishment of protection measures, creation of regulations on land use within floodplains, and restriction of development that may exacerbate flood damage. Floodplain management provisions for shoreline areas are also included in the Shoreline Master Program guidelines. State floodplain management criteria for land management and use in Washington match the minimum National Flood Insurance Program standards and definitions, and the minimum regulatory area for these regulations includes any areas subject to the base 1% annual chance flood as published on FEMA maps. Floodway areas are also subject to additional state requirements beyond NFIP minimum standards. Construction or reconstruction of residential structures is prohibited within a flood hazard area containing a designated floodway except for repairs that do not increase the ground floor area or exceed 50% of the market value of the structure. For areas without floodways, communities may require applicants to use any best available information to consider effects of development and determine that development activities will not result in a base flood increase of more than one foot. State Shoreline Master Programs also contain provisions on flood hazard reduction. These provisions apply to any actions taken to reduce flood hazards as well as land use, development, and shoreline modifications which may increase flood hazards in coastal areas. Shoreline Master Program principles for flood hazard reduction direct communities to give preference to nonstructural flood hazard reduction measures over structural measures where feasible, base flood hazard reduction provisions on existing community comprehensive planning efforts, integrate flood hazard reduction with other efforts such as stormwater management and critical area ordinances, prevent loss of ecological functions, recognize flooding as an essential natural process, and consider relocation of structures as a flood control measure. Program standards require that development within floodplains not significantly or cumulatively increase flood hazards and restrict new development or shoreline uses that would require structural flood hazard reduction measures in the foreseeable future. In order for new structural flood hazard reduction measures to be approved, program standards require scientific and engineering analyses to demonstrate that such measures are necessary to protect existing development, that any ecological impacts can be mitigated successfully, and that shoreline vegetation is conserved. Program standards additionally require new structural flood hazard reduction measures to be located landward of any associated wetlands and vegetation conservation areas unless actions increase ecological functions. The Washington state Shoreline Management Act and Water Pollution Control Act provide the legislative authority for wetland regulations in the state. Multiple state Department of Ecology programs as well as the environmental permitting process associated with the State Environmental Policy Act play a role in implementing state wetland regulations. The Department of Ecology also administers the state’s Clean Water Act Section 401 program, which works to preserve water quality throughout waters of the U.S., including wetlands. The role of the department is generally that of application review for proposed projects that may have a potential impact to wetlands or other waters of the state. If a proposed project is likely to affect wetland resources, an applicant must go through a sequence of mitigation actions to minimize impacts, after which a determination is made regarding permit requirements and the need for any additional compensatory mitigation. The department also provides assistance to local governments in developing comprehensive plan policies and development regulations, including wetland management and conservation measures. While the state does set certain standards and provides guidance with regard to wetland management, local governments play a key role in wetland protection and regulation. The state Growth Management Act authorizes and requires counties and municipalities to implement wetland regulations, which often take the form of a critical areas ordinance. The Department of Ecology publishes a guidance document to assist jurisdictions in creating critical area ordinances. A recent guidance update recommends the use of best available science in formulating wetland protection measures, contains information on using wetlands as stormwater management facilities, and outlines mitigation practices. Shoreline Master Program guidance also includes information on wetland protection in critical areas. As per guidance documents, wetland regulations must be designed to achieve no net loss of wetland area and function through restriction of uses such as excavation, dumping, draining, flooding, construction, and vegetation removal. Programs must also contain sufficient buffer areas to protect and maintain wetland functions in the long term. Local wetland regulations must also comply with state mitigation requirements, specifically mitigation sequencing. Following an avoid-buffer-compensate approach, mitigation actions are required to follow a designated order: avoid impacts, minimize impacts, rectify any impacts, reduce impacts over time, compensate for an impact, and finally monitor impacts and compensation efforts over time. As compensatory mitigation is the last available strategy in the mitigation sequence, it may only be employed if higher priority means are shown to not be feasible. Mitigation options for projects affecting wetlands within the state include wetland mitigation banking, in-lieu fee mitigation, off-site mitigation, and advance mitigation. Building codes in Washington primarily consist of nationally published codes that are then adopted by reference and amended at the state level as needed. Select codes, such as the Washington State Energy Code, are state-written and state-specific, but such codes do not involve regulations related to coastal flood-risk management. Washington, like other states, has adopted the International Building Code and the International Residential Code as the basis for regulating construction. City or county governments may amend building state building codes, but amendments must not result in a code that is less restrictive than state minimum performance standards. Washington has adopted the flood-resistant construction provisions of the International Residential Code without amendment. These provisions apply to residential structures constructed within designated flood hazard areas, including A zones, Coastal A zones, and V zones. The code provides guidance on construction methods and practices to minimize flood damage such as establishment of a design flood elevation, lowest floor elevations, and protection of utility systems. The flood-resistant construction provisions require lowest floor elevations to be at or above the base flood elevation plus 1 foot within flood hazard areas or A zones, and any enclosed area below the design flood elevation may only be used for parking, access, or storage. Enclosed areas below the design flood elevation must also contain flood openings constructed in accordance with code criteria. Additional requirements apply within coastal high-hazard areas, or Coastal A and V zones. New construction or substantial improvement of structures in these areas must be located landward of the mean high tide line, and any alterations of sand dunes or mangrove stands requires submission of an engineering analysis. The bottom of the lowest structural horizontal members supporting the lowest flood must be elevated to or above the base flood elevation plus 1 foot. Below grade basement floors and well as the use of fill for structural support are prohibited, and any walls below the design flood elevation must either be latticed or designed to break away under flood loads without causing additional structural damage. The state Growth Management Act primarily governs planning with regards to floodplains and coastal areas in Washington. The act was initially created to address concerns over uncoordinated and unplanned community growth as well as as a lack of formal goals representing public interest in conservation and wise use of natural resources. The act also expresses the need for citizens, communities, local governments, and the private sector to cooperate and coordinate as part of the comprehensive land use planning process. Specific planning goals identified within the act include reduction of urban sprawl, conservation of open space, protection of the environment, and enhancement of state natural resources. Criteria for adopting comprehensive plans and development regulations in accordance with the Growth Management Act are published within Washington’s administrative code. All comprehensive plans are required to have a land use element that includes a review of drainage, flooding, and stormwater runoff in the area covered by the plan and nearby areas. Comprehensive plans may also include optional elements related to environmental conservation, protection of critical environmental areas such as wetlands, and natural hazard reduction. While these elements are optional state guidance recommends that cities and counties give strong consideration to their inclusion in planning efforts. Regulations require city and county development plans to designate critical areas and adopt measures to protect such areas, which include both wetlands and frequently flooded areas. Protection is defined within the administrative code as preservation of natural functions and values or protection from hazards to public health and safety. Planning criteria also include requirements related to consistency and coordination both within and between jurisdictions as well as integration of planning activities with other legislation such as the state Shoreline Management Act. Regulations also require the use of best available science when developing policies and development regulations, with specific criteria published for determining what constitutes best available science, obtaining best available scientific information, and including best available science in decision-making. The Washington Department of Ecology oversees stormwater and runoff management activities within the state. Permits are required for construction, industrial activities, boatyards, activities involving sand and gravel, and Department of Transportation projects. The Department of Ecology publishes a Stormwater Management Manual for Western Washington, which provides guidance on stormwater management projects within the region. The manual by itself is not a legally enforceable document, but several permit types require the use of practices listed within the manual. The Stormwater Management Manual for Western Washington provides extensive guidance on stormwater management practices, including flow control best management practices and minimum management requirements related to preservation of natural drainage, wetlands protection, and flow control for new development or redevelopment. The guidance document as a whole is geared towards water quality issues, but several sections such as those listed above may also impact local flood risk. Guidance on best management practices for flood control includes information on maintaining a natural hydroperiod within wetlands by controlling input flows to maintain seasonal and short-term water elevation patterns. As part of minimum stormwater permit requirements, natural drainage patterns must be maintained and any discharges from project sites must occur at the natural location to the maximum extent practicable. Any adverse downstream impacts are not permitted, and outfalls require energy dissipation. Additional runoff treatment and flow control threshold requirements are in place for projects in which stormwater discharges either directly or indirectly into wetlands, and stormwater treatment and flow control facilities may not be built within natural vegetative buffers except in select cases. Minimum flow control requirements are designed to ensure that the impacts of stormwater runoff from hard surfaces and land cover conversions are minimized. The Washington Department of Ecology also manages erosion control activities along state shorelines. The state Shoreline Master Program guidelines contain specific recommendations and standards for shoreline modifications, and guidelines encourage local governments to distinguish between shoreline modifications and shoreline uses when forming a master program. The department also provides information on green shorelines projects to property owners, covering shoreline armoring, green shoreline activity types, design considerations, and green shoreline incentive programs. The program guidelines establish several principles for all shoreline modifications. Master programs may only allow structural shoreline modifications if such a measure is demonstrated to be necessary to protect an existing structure or use from loss or substantial damage, and all modification projects must seek to reduce any adverse impacts and minimize the number and extent of modifications. Shoreline modifications must also be appropriate for the specific shoreline type and environmental conditions in order to prevent net loss of ecological functions. Modifications with lower impacts to ecological functions are preferred, and any unavoidable impacts must be offset through mitigation, following the established state mitigation sequence. Principles also require shoreline modifications to be based on scientific and technical information where possible. When shoreline modification is necessary to control erosion, localities must plan for the enhancement of any impaired ecological functions and incorporate all feasible measures to protect both shoreline ecological functions and ecosystem wide processes. Master program guidelines also contain provisions for specific shoreline modification projects including shoreline stabilization, beach and dune management, and habitat enhancement. Program guidance on shoreline stabilization establishes that shorelines are inherently unstable and that erosion and accretion are natural processes linked to ecological functions. Guidelines also identify a number of adverse impacts of shoreline hardening and acknowledge the potential for hard structures along shorelines to fail. Several standards for shoreline stabilization projects are also listed to minimize individual and cumulative net loss of ecological functions. To comply with standards, shoreline master programs must contain measures to consider and avoid the need for shoreline stabilization when siting new development, allow for the use of structural stabilization measures only under certain conditions, and limit the size of stabilization measures when deemed necessary. Beach and dune management guidance directs localities to develop coastal development setbacks to prevent adverse impacts to dune systems. Per guidelines, coastal dune modification may only be permitted if projects are consistent with state and federal flood protection standards and do not result in a net loss of shoreline ecological functions or significant adverse impacts to coastal resources. Guidelines also encourage the inclusion of habitat enhancement provisions in shoreline master programs to address restoration needs and priorities, provided that enhancement projects are designed to restore the natural character and ecological functions of shorelines. 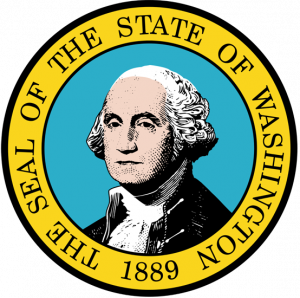 Climate adaptation at the state level in Washington was formally initiated by the Washington State Agency Climate Leadership bill, first signed into law in 2009. The bill required multiple state agencies, including the state departments of ecology, agriculture, economic development, fish and wildlife, natural resources, and transportation, to develop integrated climate change response strategies. Resulting climate change response strategies must identify both barriers to action and opportunities to incorporate climate change impact projections into future planning and decision making. The end result of the bill was the publication of a comprehensive state level strategy entitled “Preparing for a Changing Climate: Washington State’s Integrated Response Strategy”. Washington’s integrated climate response strategy includes an overview of observed trends and future conditions projections as well as descriptions of specific issues related to oceans and coastlines. The strategy document identifies major threats posed by climate change, including sea level rise, flood damage to coastal communities, increases in coastal erosion, and loss of coastal habitat. To address these concerns, the strategy includes broad principles for response as well as more specific strategies and actions to be taken. Overarching principles include limiting new development in vulnerable areas, employing alternatives to hard shoreline armoring, accommodating rising sea levels through engineering and construction practices, managing retreat from vulnerable coastal sites, restoring and maintaining natural coastal systems, and enhancing research efforts. Five strategies expand on these principles, each with several action items to support coastal climate change response within the state. The Shoreline Master Program Handbook also contains an appendix that addresses the incorporation of sea level rise into local programs. Handbook guidance includes regional sea level rise projections under multiple scenarios as well as a summary of potential environmental impacts in coastal areas. The handbook outlines specific actions local governments can take at multiple stages of the shoreline master program planning process to address future risk, from shoreline jurisdiction determinations through shoreline inventories, development of regulations, environment designations, shoreline modifications policies, and restoration planning. Program guidance also encourages governments to take sea level rise into account when selecting indicators to be used for net loss of ecological function determinations, which are applicable to all planning phases. The handbook appendix also lists examples of climate change preparation measures within existing shoreline master programs. The coastal zone under the jurisdiction of the Washington Coastal Management Program includes all lands and waters in the 15 counties that have marine shorelines and has flexibility to include activities outside these counties that may impact coastal resources. The state coastal management program conducts federal consistency reviews to ensure that federal activities do not conflict with the enforceable policies of the program, which consist of a broad range of existing major state environmental legislation. The environmental protection provisions of the state Shoreline Management Act prioritize protection of native vegetation within coastal areas. The flood hazard reduction principles of the state Shoreline Master Program direct communities to favor nonstructural flood hazard reductions measures over structural measures where possible. State Shoreline Master Program standards for new structural flood hazard reduction measures require analyses to demonstrate that such measures are necessary to protect existing development and that existing shoreline vegetation is conserved. Wetland management provisions of Shoreline Master Programs require that programs include sufficient buffer areas surrounding coastal wetlands to protect long-term ecological functions such as flood control and stormwater management. Stormwater guidance includes information on maintaining a natural hydroperiod within wetlands as a best management practice in order to preserve ecological functions. Local Shoreline Master Programs may only allow structural shoreline modification if it is necessary to protect an existing structure or use from loss or substantial damage, and localities are required to plan for the enhancement of any impaired ecological functions. Programs must also avoid the need for shoreline stabilization measures when siting new development in coastal areas. Principles listed within Washington’s integrated climate response strategy include employing alternatives to hard shoreline armoring projects. Flood-resistant construction provisions in the state building code require the lowest floor of structures in flood hazard areas to be elevated to the base flood elevation plus one foot. The lowest horizontal structural members must be elevated to the same level in coastal A or V zones. The state Growth Management Act requires the use of best available science when developing city and county comprehensive plans and development regulations. Criteria for determining what constitutes best available science, how to obtain such information, and how to use the information in decision-making is available within the state administrative code. The Washington State Agency Climate Leadership bill represents the state’s formal climate adaptation initiative, requiring state agencies to develop integrated climate change response strategies that identify barriers to action and opportunities to incorporate climate change impact projections into future planning. An integrated climate response strategy was also developed at the state level. The state Shoreline Master Program Handbook contains an appendix that provides guidance on incorporating sea-level rise into local programs, including regional sea-level rise projections under multiple scenarios and a summary of potential coastal impacts. The state Shoreline Management Act requires all permitted shoreline uses to mitigate adverse environmental impacts and preserve the natural character of coastal areas to the maximum practicable extent. State Shoreline Master Program principles for flood hazard reduction include the consideration of structure relocation as a flood control measure. State mitigation requirements for environmental projects include a designated sequence of mitigation steps that gives preference to avoiding or minimizing impacts over compensation. State guidance on beach and dune management for erosion control directs localities to develop coastal development setbacks to prevent adverse impacts to coastal dune systems and maintain current ecological functions. The principles of Washington’s integrated climate response strategy include include managing retreat from vulnerable coastal sites, with specific strategies and recommended actions included to advance managed retreat efforts. In an effort to address coastal issues in a comprehensive and locally relevant manner, the state coastal management program is implemented through the existing state regulatory framework, and the enforceable policies consist of major state environmental laws rather than new legislation. The state coastal management program lists forming partnerships to manage the impacts of growth and development in coastal areas as one of the program’s priorities. The state goal of the state Shoreline Management Act is to allow for coordinated development and use of state shorelines and coastal resources, formally establishing the need for cooperation in the management of coastal areas. Flexibility is built into shoreline management activities as towns, cities, and counties become the primary shoreline activity regulators after a Shoreline Master Program is adopted. The flood hazard reduction principles within state Shoreline Master Programs include integrating flood hazards reduction efforts with other efforts such as stormwater management and critical area ordinances. The state Growth Management Act is designed to address issues with uncoordinated and unplanned community growth, and state planning criteria require coordination within and between jurisdictions as well as integration of planning efforts with existing legislation such as the Shoreline Management Act. Shoreline Master Program guidance on shoreline stabilization establishes that shorelines are inherently unstable and that erosion is a natural process linked to ecological functions, encouraging compatible use within coastal areas.